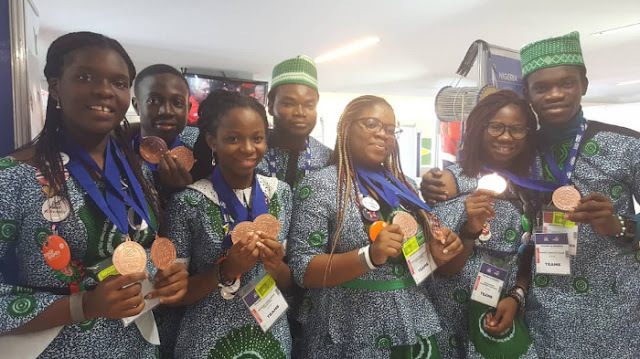 Nigerian teenagers, who raised the country’s flag at the 2018 First Global Robotic Olympiad (GRO) in Mexico, won two bronze medals at the competition involving 187 countries. The competition began on Aug 13. Mrs Remi Willoughby, National Coordinator of the GRO, told NAN on telephone from Mexico that there were 193 teams from 187 countries at the competition. NAN reports that the five teenagers, aged from 15 years to 17 years, are from secondary schools in Lagos. Mr Faisal Jarmakani, Managing Director, Aramex and Doculand Nig., sponsors of the team, had at a press conference in Lagos to announce the competition, said that the teenagers were building the foundation blocks for a technology-advanced Nigeria. Three Nigeria students had in July won gold for proper documentation of processes on engineering note at the 2018 World Adolescent Robotic Competition in China.